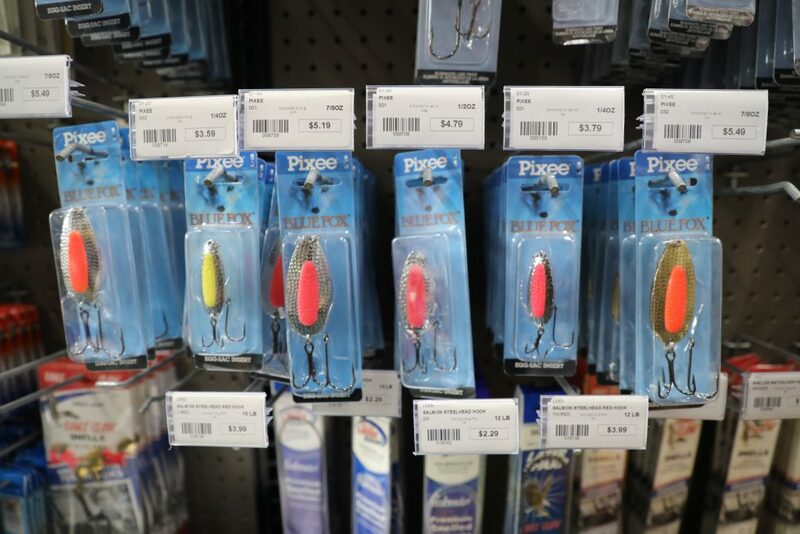 There are so many freshwater fishing opportunities here it can be a bit overwhelming trying to decide on only one thing, or enjoying a variety. First you have to decide between Saltwater or freshwater or divide your days exploring both of these choices. Your time here is going to go way to quick, but you can rest up later. With the long days of summer we have a saying you can use the first half or the second half but probably not the whole thing. Prince of Wales has some incredible water to fish and a diversity of fish. Rivers and streams are divided into 2 different types, native runs and hatchery runs. The largest runs and biomass of fish by far are Pink Salmon. They provide the bulk of the nutrients that replenish the rainforest and all the fish animals that depend on them. Chum or Dog Salmon, Reds or Sockeye, and Silvers or Coho make up the rest of the runs. 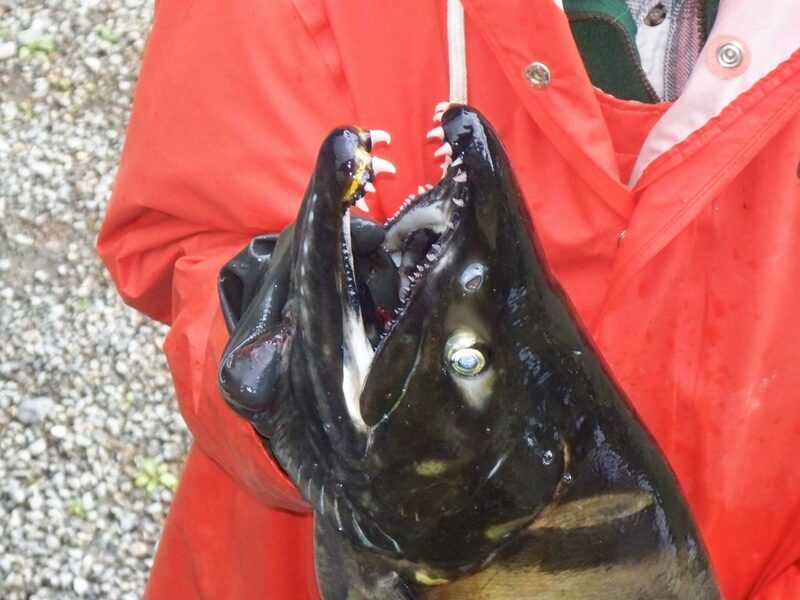 King Salmon do not spawn on the Island Rivers. (They are all around the Islands feeding before heading to their home waters to spawn) The Klawock River and Neck Lake have hatchery runs of Silvers that are the predominate species. Neck Lake has an early run and the Klawock has a late run of Silvers. Native Steelhead run in the different Rivers and is the most challenging trophy of all the fish to catch. The Steelhead runs are smaller and begin in the late fall and winter, most fisherman target the spring run which is the largest run comparatively. Last but not least are the native Cutthroat and Dolly Varden that inhabit the Rivers. Some of them are sea run in that they will run in and out of the tide water. Some of the native rivers are the Harris, Karta, Thorne, Staney Creek, Eagle Creek, Hatchery Creek and 12 Mile. This is by no means a complete list but covers some of the main freshwater fishing opportunities. .
All of the Rivers here are short and come up fast with a lot of rain, the flip side is if they are high they will drop fast once it stops. When the Rivers are running high a lot of the time the fish will be right along the bank, so dont wade past the fish or cast over them. 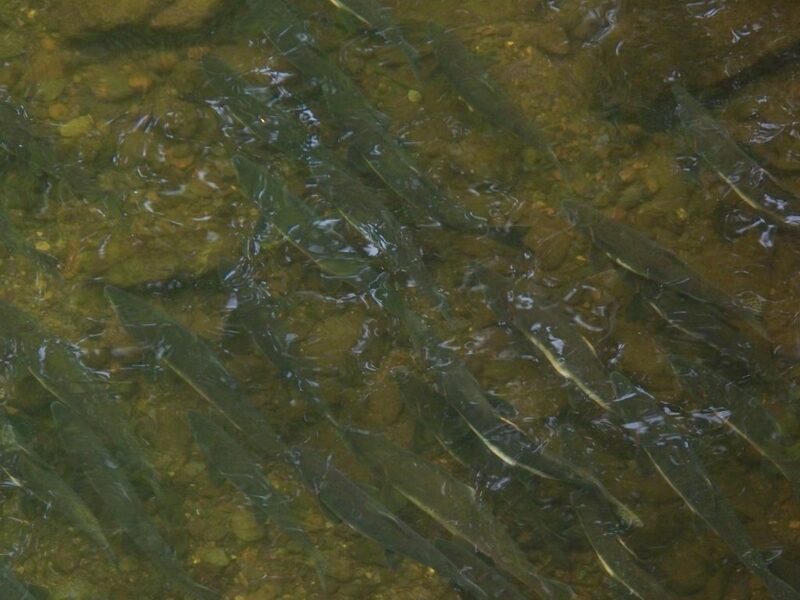 Rain also triggers fish to enter the river an can bring a fresh bunch of fish in. Most of the places you will be fishing are close to tidewater, so fish will be entering the systems with the tide. Silvers will lay underneath the pinks so you think thats all that is there. Pink salmon or humpies are the most abundant and smallest of the salmon. They are looked down on by fisherman here because of their abundance and ability to produce slime. 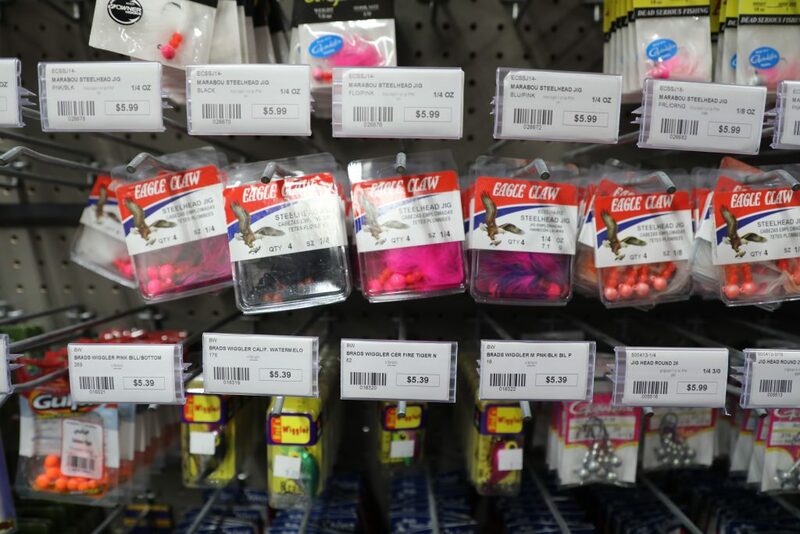 (part of the protective layer on fish) Pinks in Washington and Oregon are a targeted species for fisherman. 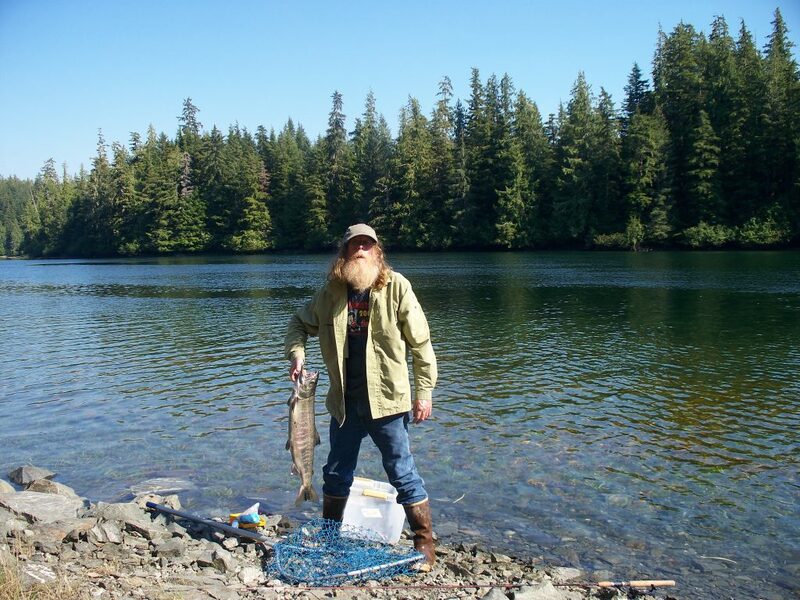 If a Pink salmon was the size of a King Salmon you never would land one. They are incredible fighters for their size, 4 to 5 lbs with some of the males being up around 6 to 8 pounds. You are going to snag a lot of pinks just by the virtue that there are so many fish in the River you cant avoid it. One way to catch Pinks is to use a Pink Twitch with jigs or flies to draw strikes. If catching fish is fun, you can have the time of your life. Chum, Dogs or Keta are an extremely powerful fish. They fight a lot like a Steelhead with powerful runs and acrobatics. 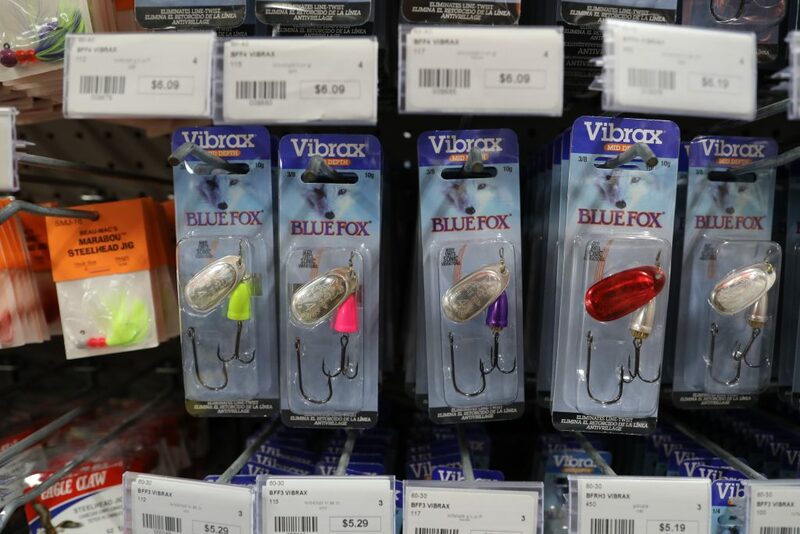 They are larger with a lot of them in the 8 pound range and some of them can go well over 15. So your gear had better up to the task or they will tear it up. If they had a favorite color it would probably be purple. They like a good spinner as well as flies. Coho or Silvers are just exciting to catch. There is a ton of information written on them they are aggressive and strong fish. 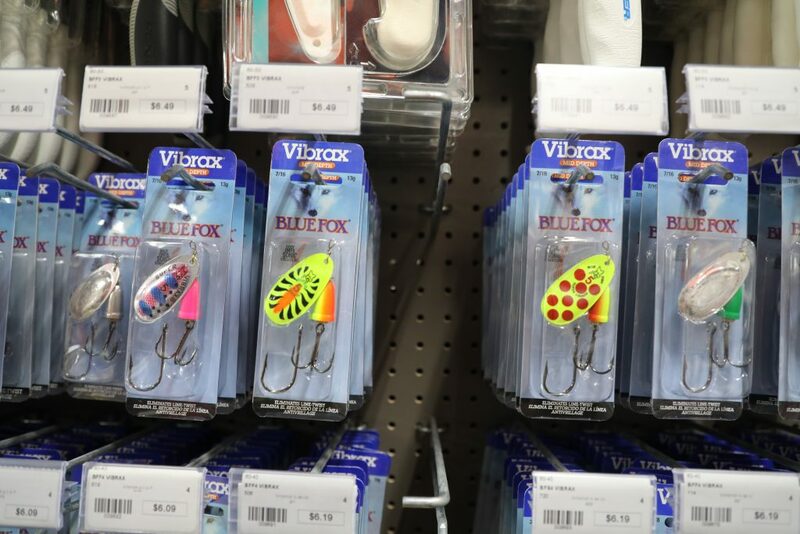 They like spoons, spinners, jigs and flies. 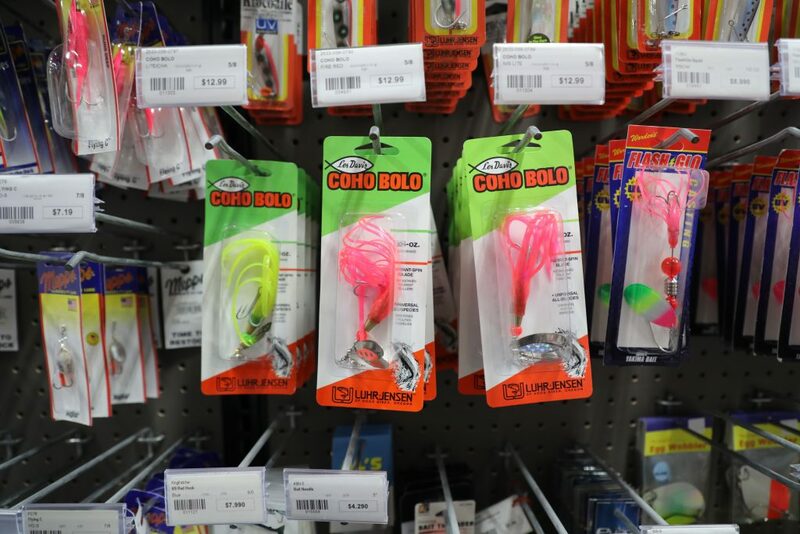 Some of the things they like are purple or pink jigs with some flash. The spinners with the pink hootchie skirts are effective. 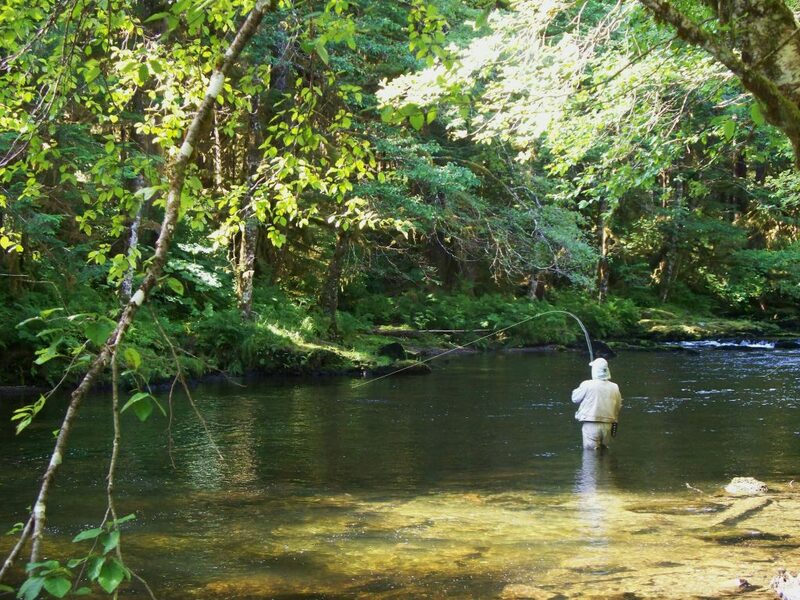 The secret to steelhead is finding the fish. They like hardware and flies so you just need to keep plugging away covering the water they like. Learning to read the water and cover it is the key. Sockeye are a difficult to catch sport fishing. They are continually opening and closing their mouths so you can use a method called flossing with lightly dressed hooks or flies. 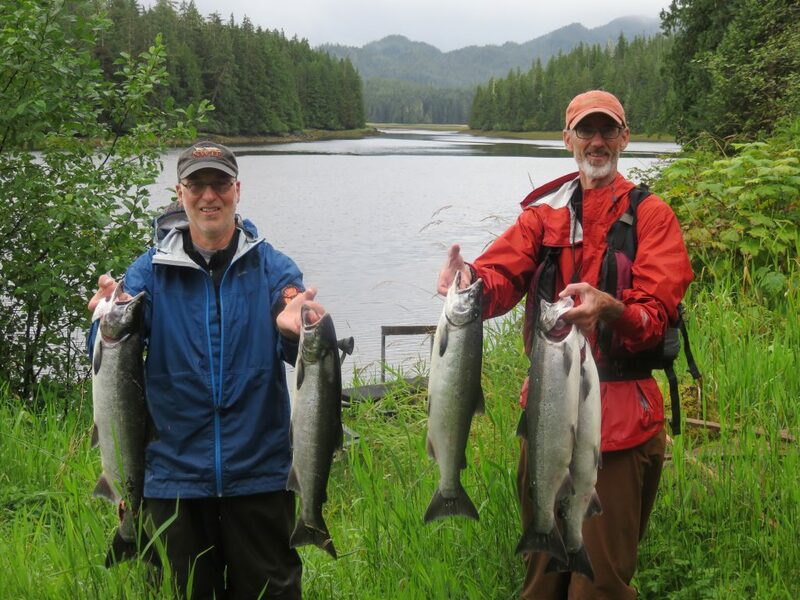 The Klawock River and Neck Lake have hatchery fish and provide an excellent opportunity to fill up some fish boxes and have some fast passed action. The land along the Klawock River is owned by the tribe and requires a permit to fish it. They are available at the tribal office in Klawock. There are several access points to the River along the main road between the Hatchery and Grocery with trails leading to the River as well as a trail that goes along beside the river. The trails are relatively short but can be muddy, but you will probably have your waders on. These fish are going to harvested at the hatchery or by you, so dont feel bad about keeping fish. Load up your fish boxes here and then enjoy one of the wild runs and release a few fish. The Neck Lake fishery is very short between the Lake Outlet and the Bay. It is legal to snag fish in saltwater here. There is a sign to mark this line, just make sure you are on the right side of it if your snagging. If you fowl hook a fish in fresh water you are required to release it. Fish and Game keeps an eye out to see what is going on. This is a healthy fishery and all the fish are terminal, meaning that they will all be harvested so you are not hurting a fish run by doing this. It is a good way to harvest fish for food and release some of the native fish in other systems. The quality of the fish is excellent and equal to wild fish. These are not farm raised fish. Stabilicers that have the Velcro straps and screw in studs on our wading shoes. If all of this doesnt scare you off you are in for an incredible adventure in a old growth forest with an amazing river. 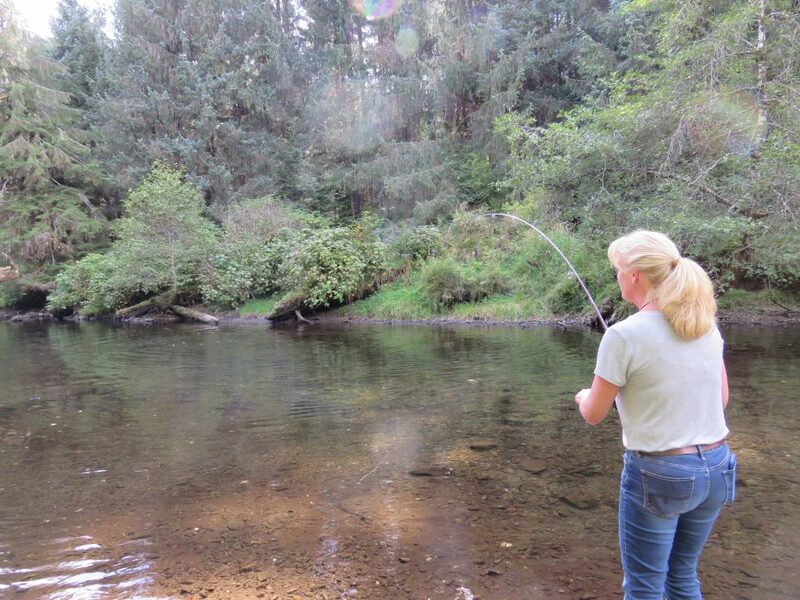 Harris River is home to a Pink, Dog and Coho run and has a couple different access points. As with all Rivers that have road access most of the pressure is close to these places. Seeing the mass of pinks as they enter the river is nothing short of amazing if you havent seen it before. The pinks and chum start in about mid July and by August are in full swing. The Coho start in about mid August and goes into October. Getting through the Pinks and Dogs can present a problem if you are only targeting Coho, if you call being hooked up all the time a problem. 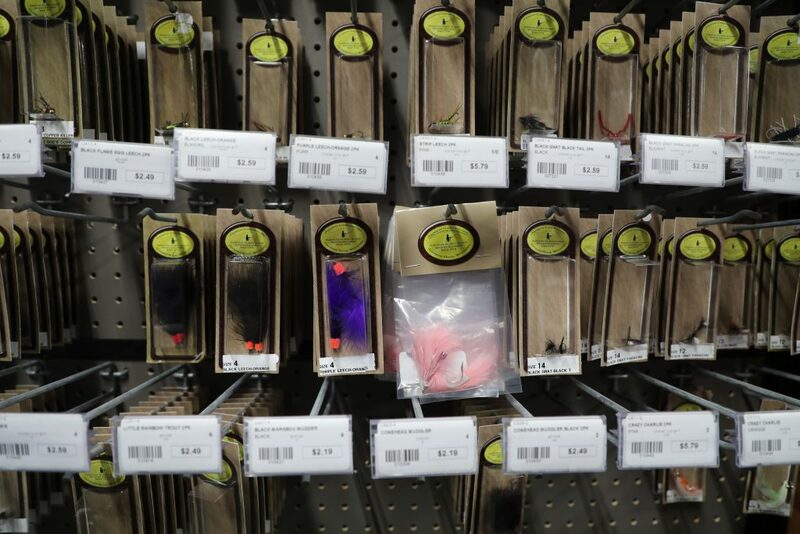 Purple and Pink jigs and flies are usually a good place to start. 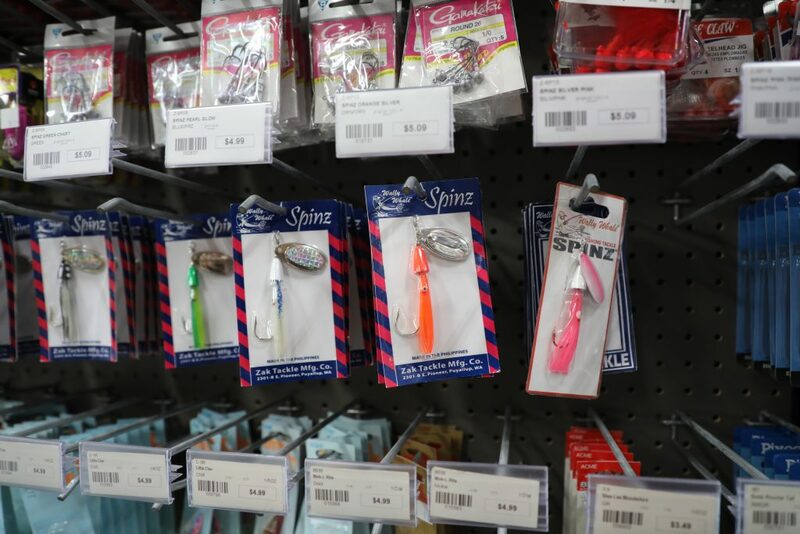 Spinners and spoons are also good, especially some of the ones using a pink Hootchie. The Harris and its tributary Gndlaay Hanaa, have enjoyed some restoration work to improve habitat for Coho. Steelhead bring up either the last run or first run depending on how you keep track with a Winter and Spring Run. 12 Mile Creek pretty much mirrors the Harris River but on a smaller scale and has also enjoyed improved habitat for Coho. This is a small an intimate stream and if you are there you probably will have it to yourself. 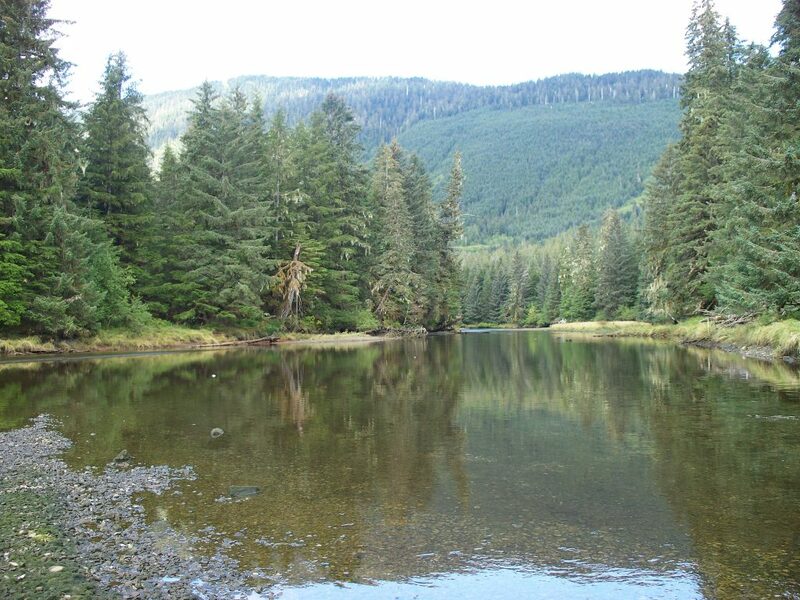 After the logging in the 60s the streams changed character so to speak so they favored Pink Salmon. 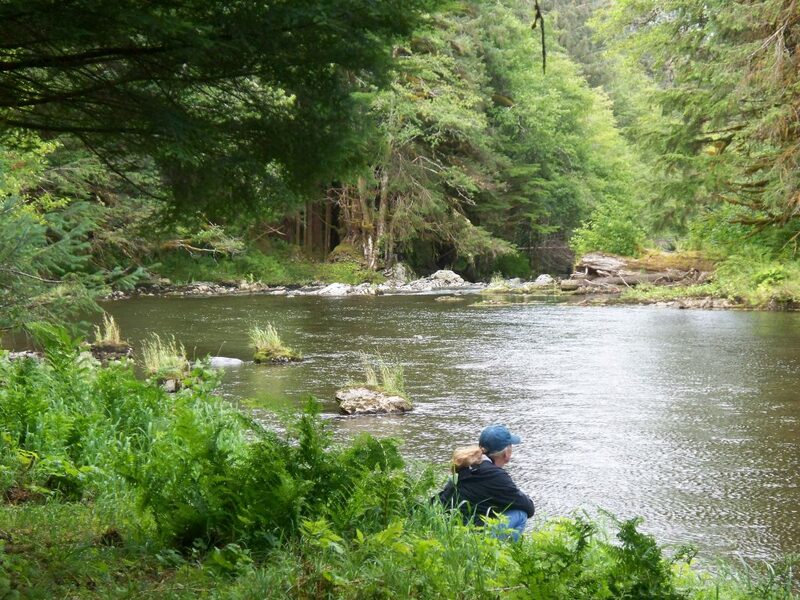 Thorne River has some excellent Coho fishing as well as the other species of fish. It has some easy access points and some that are a real challenge. The bigger the challenge the less anglers you will see if any at all. The Thorne gets going with about the same time frame as the other Rivers. It goes without saying the Pinks, Dogs, Steelhead have a strong appearance here. Staney Creek Is another stream with some fantastic fishing. The forest Service roads access it in a couple places. You can head down toward the mouth by the trail to the forest Service Cabin and Camp Ground or the other Fork crosses the River a little higher up. Like the Other Rivers the farther from the parking areas the less the use. Eagle Creek is a small very short stream and yet has a good run of fish. The hardest part is finding it, most people just drive over it and go past it.